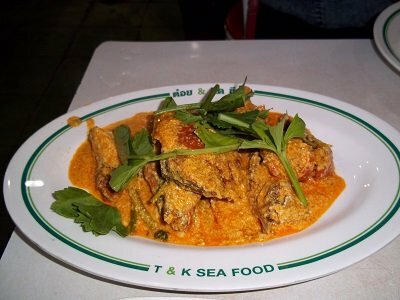 Located in the heart of Bangkok’s China Town, on the intersection between the Yaowarat Road and the Phadung Dao Roads, T&K Seafood Restaurant has been serving tasty seafood for decades. 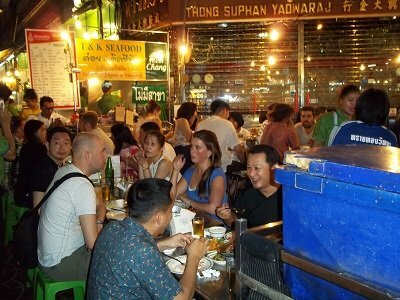 This restaurant is located on a corner of the busiest road in China Town (the Yaowarat Road) and features seating for around 100 people in two air-conditioned rooms and further seating outside the front of the restaurant. 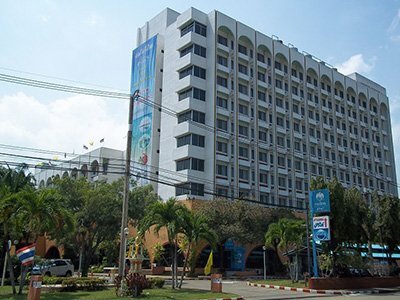 We stayed at the nearby Check Inn Check Town Hotel to avoid travelling on the busy roads in China Town at night. It is always busy here from when it opens at 18.00 to when it closes at 02.00, everyday of the year. 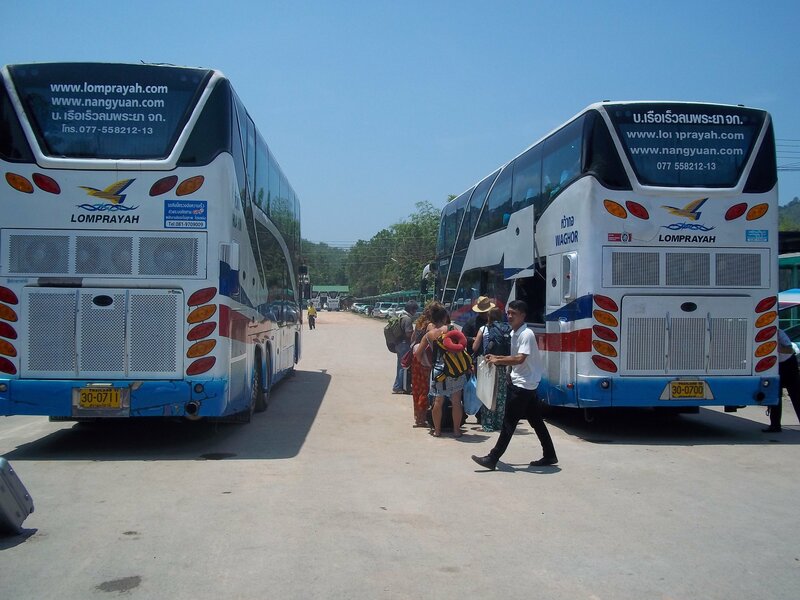 This is where the locals come as well as tourists. Do not be put if it looks full when you arrive as the staff can always find somewhere to sit you down. As the name of the restaurant suggested, the menu is focused heavily on Seafood. If it lives in the sea, then chances are this restaurant has. Amongst the more popular dishes are Goong Phad Pong Garee (Crab in Yellow Curry) which is crab fried in a thick yellow curry sauce with egg and coconut cream. This dish costed us 300 THB. 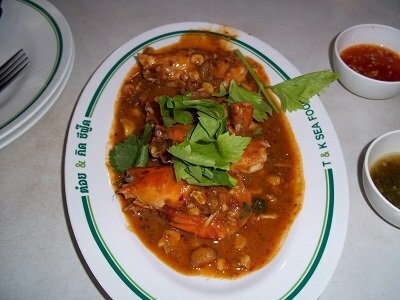 We also ordered large prawns in curry paste, pictured below, for 200 THB. 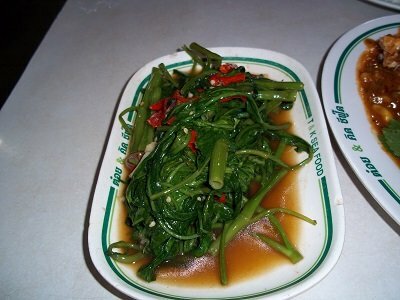 And a plate of morning glory fried with oyster sauce and red chilli for heat which cost us 60 THB. With two portions of rice, a large beer for and a coconut for my wife, the total bill came to 770 THB for everything. This was a great meal of prawn, crab, Chinese style vegetables and drinks in a famous Bangkok restaurant and the final was fantastic value for money. I thoroughly recommend this restaurant for both the food and the atmosphere – you really feel as though you are in the centre of busy China Town when you eat at this restaurant. 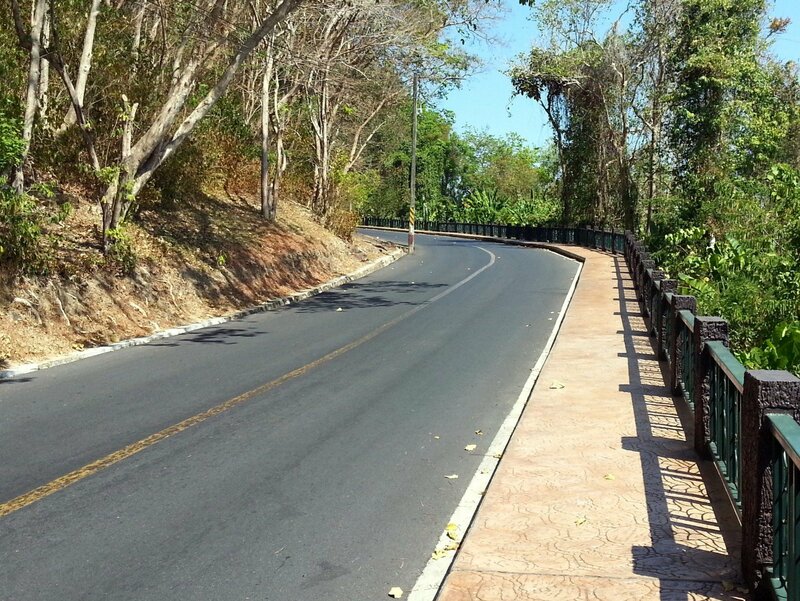 It’s a must do for visitors to the City.